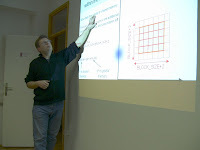 Here you can find some slides and a couple of code examples from our first open lectures on programming in CUDA: www.gpuhybrid.org/wiki. I liked you post, it reminded me of my days back in college. i miss those days and my teachers and i wish i could see them again ever in my life. liked your post very much.